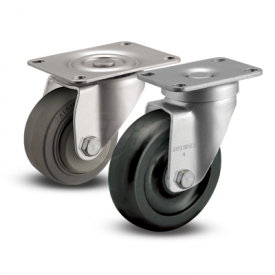 P2 series are precision 1-1/4”-wide institutional casters. 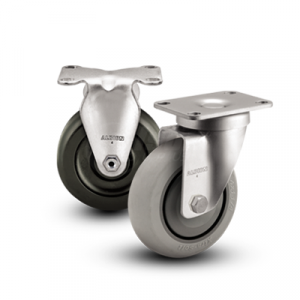 Ideal for stock carts, laundry trucks, hospitality and food industry usage, these casters offer the smoothest operation available for light duty products. 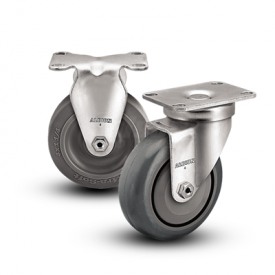 The sealed precision bearing in the swivel section offers quiet, maintenance-free operation. Zinc plating provides an attractive, corrosion-resistant finish. Interact and Download Native CAD models below. Rotate, zoom in/out, and see critical dimensions by utilizing your mouse.